It would be a mistake to say Middle East studies have been corrupted. For the program's very purpose has been to serve as a corrupting agent. Specifically, it puts the essence of study — the objective pursuit of knowledge — in disrepute. 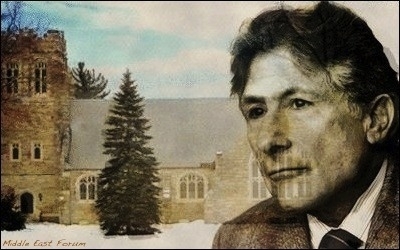 Edward Said's lifelong journey from boarding school in Mount Hermon, Massachusetts, to Columbia University takes about three-and-a-half hours, depending on traffic. Here, of course, I am referring to the modern incarnation of Middle East studies: an amalgam of leftist and Islamist political dogma that masquerades as an academic discipline. By contrast, the actual study of Middle Eastern history, like the intimately related study of Islamic civilization, is a venerable and vital pursuit — and is still pursued as such by, to take the best example, ASMEA, the Association for the Study of the Middle East and Africa. Alas, in our hyper-politicized society, the traditional notion of study seems quaint: a vestige of a bygone time when the designations "Orientalist" and "Islamist" referred to subject-matter expertise, not political activism, much less radicalism. Yet, for Edward Said, the seminal figure in modern Middle East studies, the object of the game was to slander knowledge itself. Joshua Muravchik nailed it in a 2013 profile of the renowned academic. Said's animating theory held that "knowledge" was the key that enabled the West to dominate Orientals: The point of pursuing knowledge about "the languages, culture, history, and sociology of societies of the Middle East and the Indian subcontinent," Said elaborated, was to gain more control over the "subject races" by making "their management easy and profitable." With real study caricatured as the engine of colonial exploitation, the way was paved for a competing construction of "study" — political agitation to empower the have-nots in the struggle against the haves. Said was a fitting pioneer for such a fraud. To begin with, he was a professor not of Middle East studies but of comparative literature. Moreover, the personal history he touted to paper over his want of credentials was sheer fiction: Far from what he purported to be (a Palestinian victim exiled by Jews from his Jerusalem home at age twelve), Said was actually a child of privilege, raised in Cairo and educated in top British and American schools. His Palestinian tie of note was membership in the PLO's governing council. Like Rashid Khalidi — his protégé, who was later awarded the chair in Modern Arab Studies that Columbia University named in Said's honor — Said was long a reliable apologist of Yassir Arafat, the indefatigable terrorist who infused Palestinian identity with a Soviet-backed Arab nationalism. To thrive in an Islamic culture, it was not only useful but necessary for Palestinian militancy to accommodate the Islamist sense of divine injunction to wage jihad. From its roots, then, modern Middle East studies is a political movement aligning leftism and Islamism under the guise of an academic discipline. It is not an objective quest for learning guided by a rich corpus of history and culture; it is a project to impose its pieties as incontestable truth — and to discredit dispassionate analysis in order to achieve that end. The embrace of Islamism usefully advances this project because Islamist ideology similarly stigmatizes the pursuit of knowledge. Where the leftist frames the West's reverence for reason as imperialism, the Islamist attacks it on theological grounds. Sharia, they maintain, is the complete and perfect societal framework and legal code, the path to human life lived in conformity with Allah's design. Thus, what the West calls "reason" or "the objective pursuit of knowledge" is merely a rationalization for supplanting Allah's design with the corrupting preferences of Western civilization. We see how this teaching plays out in practice. Muslim countries that supplement sharia with other legislation add the caveat that no man-made law may contradict Islamic principles. The Organization of Islamic Cooperation — a group of Islamic governments that form a large bloc in the United Nations — even found it necessary in 1990 to promulgate a Declaration on Human Rights in Islam, because Islamists could not accept the Universal Declaration of Human Rights spearheaded by non-Muslim governments after World War II. 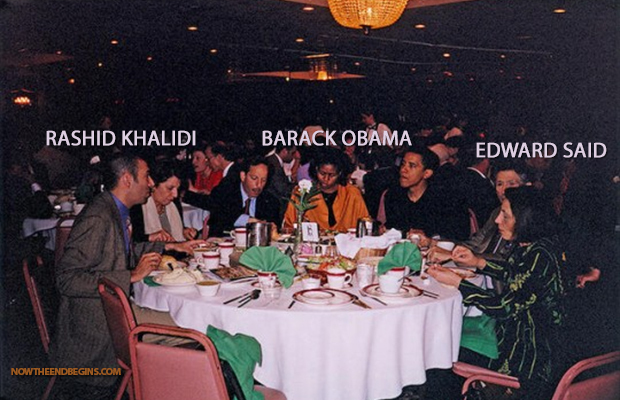 The Muslim Brotherhood, the world's most influential Islamist organization, refers to this enterprise as "the Islamicization of knowledge," the weaving of historical events and cultural developments into Islamist narratives that confirm sharia-supremacist tenets. The "Islamicization of knowledge" is the express and unapologetic mandate of the International Institute of Islamic Thought (IIIT), the Virginia-based think tank established by the Brotherhood in 1981. There are two pertinent observations to be made about the IIIT. First, it has provided an enthusiastic endorsement of Reliance of the Traveller, the English translation of Umdat al-Salik, a classic Arabic sharia manual. The publisher found this seal of approval sufficiently significant to be included in the manual's preface, along with an endorsement from scholars at the ancient al-Azhar University in Cairo. The manual is an eye-opener. In addition to detailing sharia's gruesome hudud penalties (e.g., scourging and death for such offenses as extramarital or homosexual relations), it provides instruction on Islam's brutally enforced proscriptions against blasphemy and apostasy. These are salient to our consideration: They include prohibitions not only against renunciation and ridicule of Islam but even against objectively true statements that contradict sharia, promote other belief systems, or might otherwise sow discord in the Islamic community. Obviously, the animating purpose of these principles is to discourage severely the robust exchange of ideas, and even more the scholarly examination of Islamic doctrine and culture. The Islamicization of knowledge is possible only if the objective pursuit of knowledge is not permitted to compete. That brings us to the second noteworthy observation about the IIIT: It has longstanding ties to the Middle East Studies Association (MESA). Several of these were traced by Cinnamon Stillwell in a 2014 American Thinker essay. This alliance, the sponsorship by the IIIT of Middle East studies programs throughout North America, the collaborations between the IIIT and MESA scholars — these are easy to understand. Modern Middle East studies is a counter-scholarship enterprise that subverts truth to the ends of leftist and Islamist politics. To be clear, it is not an alternative interpretation of reality competing in the marketplace of ideas; it is an anti-Western program that is oblivious to reality and seeks to shut down the marketplace. We do ourselves and the search for truth great harm by indulging the fiction that anti-American power politics is credible American scholarship.